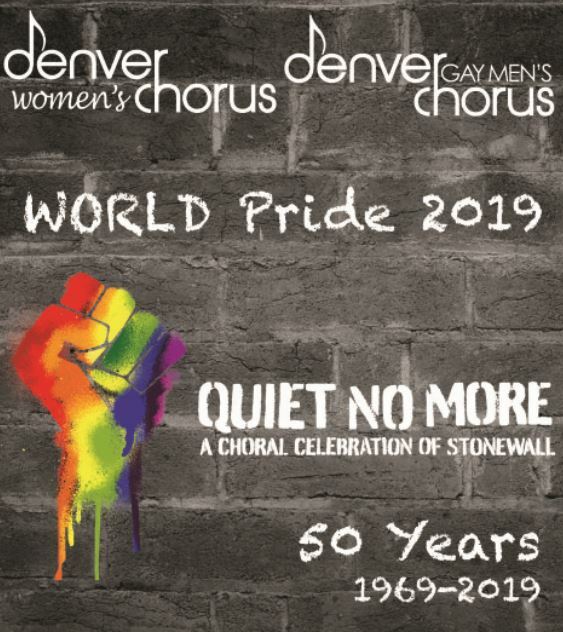 CBCA members and their employees have the opportunity to attend the Denver Women’s Chorus and the Denver Gay Men’s Choir dress rehearsal for Quiet No More: A Choral Celebration of Stonewall. The Rocky Mountain Arts Association concert season culminates with a joint performance by the Denver Women’s Chorus and the Denver Gay Men’s Chorus to launch Pride Month in Colorado and to celebrate the 50th Anniversary of the Stonewall Uprising in New York City, a seminal event in LGBT history which gave rise to the gay civil rights movement in the United States. The combined ensembles will premiere a newly commissioned choral work commemorating this 1969 landmark event as well as selections showcasing how far we have come and how far we still need to go. CBCA distributes tickets on a first come, first served basis. Night At… events are open to all employees of CBCA Member companies and their employees.